After returning from Prague and spend some family is time for a Veeam Vanguard Prague Summit 2018 Wrap-up. Vanguard Prague Summit 2018 was my first Veeam Vanguard Summit, and I can say that awesome. Not only meeting all the Vanguard in person, some I meet before, but most of them only known them online, but also for the technical knowledge and technical discussions. Not just Veeam sessions, but also between beers with other Vanguards. In Veeam Vanguard Summit, Veeam is sharing technical and marketing content with Vanguards for feedback and opinions about features, tools, and way of working about Veeam Productions. Most of the new Veeam Products or new updates/features are discussed inside the Vanguard Program before being launch publicly. This type of information is sometimes in more detail and first hand than shared internally by Veeam to their engineers. A lot of the technical discussions and opinions that are discussed will be registered by Veeam and will serve for product changes or improvements. Since this is very NDA we are not allowed to shared/discussed it outside Veeam Vanguard program. This was my first time in Prague city and is a beautiful city, particularly old town. With a great history and a very particular Eastern European Architecture, Prague provides to a visitor very lovely places to visit. With a great nightlife and lots of nice bars to hang around. Also is a safe city (as secure a city can be). I enjoyed Prague and is a place to return now with the family. Since I arrive one day earlier, after check-in in the Hotel went for a walk around the city and had a couple of beers. After an initial welcome speech from Rick Vanover, the first day started with everyone presenting themselves, after technical presentations and technical discussions began. A presentation by Mike Resseler about Veeam Backup for Office 365. Since most of the stuff that was discussed is still not to be published or discussed outside internal Vanguard Summit, I can share very little. However, Veeam Backup for Office 365 version 2 is available and support both SharePoint and Exchange Online including OneDrive for business. Veeam Explorers is also improved and with new integrated tools. Lot of news, features, and improvements in this new Update 4. Secure Restore will scan you VMs with an antivirus (that you will select from your Infrastructure) and check if there is any Ransomware on it. If your backups had a ransomware attack, you would be able to cancel the restore or restore the VMs but with the virtual Network interfaces disable and have an isolated Virtual Machine. With this, you will prevent that your entire Infrastructure is infected with Ransomware. 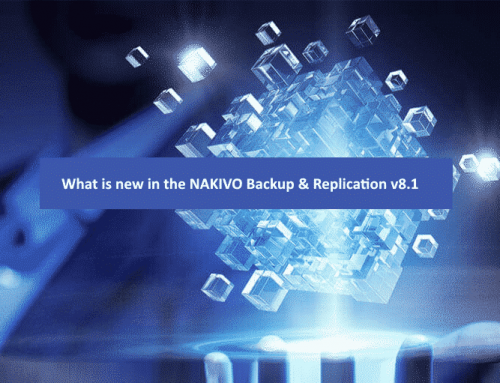 This is an advantageous feature to avoid some of the recent attacks on companies backups. Because not only the infrastructure is infected, but also your backups when you try to recover your infrastructure. Now, will possible to add Amazon S3 or other S3 compatible storage or Azure Blob storage, to the new a capacity tier repository. All backup can now be stored in your local repositories, but also moved to Azure and AWS. Will be possible to move/archive old restore points to online Tier. This new Capacity Tier it can be set by the policy-driven repository and very important, Instant VM Recovery directly from AWS is also possible from this new Capacity Tier. New Direct restore to AWS EC2. The second day started with Michael Cade and Dima P. to talk about Veeam Backup & Replication and the new feature for GDPR Staged Restore. Compliance, your backups vs, restore with GDPR. This is a feature so that our backup and restore are compliance with GDPR. If we need to restore a VM or DB it restores to production without data that was requested to be deleted by a user, or group of users. 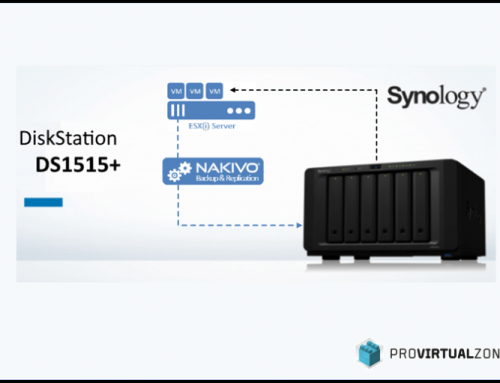 Before the restore, will be possible Power On the VM in an isolated network (Virtual Lab) to clean a DB or other information inside an application, so that is compliance with GDPR and remove any data that was requested to be removed. This is a great feature for companies to continue to be compliance with GDPR even is they need to restore a very old Backup and to remove any data that is not supposed to be restored anymore. The second session of the day was presented by Kirsten Stoner, and Nikita Shestakov that showed us the new features and improvements from Veeam One. 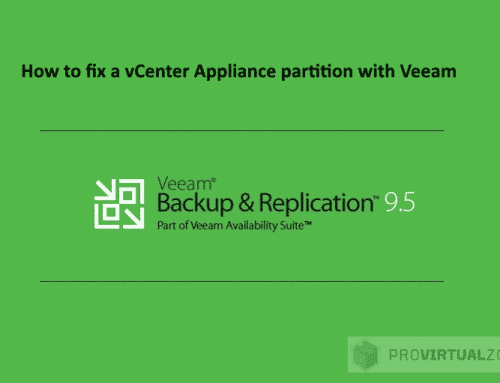 Veeam One will be more than just monitoring and reporting tool, will be possible to take actions when we have an alarm to fix some of the issues, or if there is a VM that is not being back up, we can with a click add that VM to be back up. 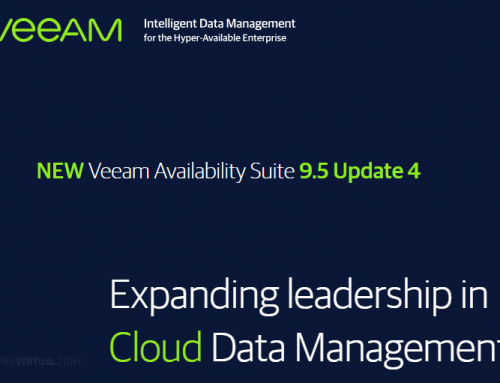 A lot of new improvements in Veeam ONE 9.5 update 4. # Is now integrated with Veeam ONE Monitor. – New VID will parsing Logs and check errors and provide any KB solutions for any issues found. # Resolution Actions for popular alarms. # Custom scripts to fix issues on alarms. # Windows 10 October update. #VAW – MS Exchange DAG & Share 2019. Veeam Agents now supports PowerShell and RESTful API and integrated with the new Archive Tier. The rest of the day was NDA sessions so, for now, no information is allowed to be shared. In this second we had a Veeam Vanguard dinner and a boat trip. Excellent boat trip around Prague. Unfortunately, I was late to the meeting (me and Mike Conjoice) and almost lost the boat, but we took an Uber, and we were able to arrive in time. But unfortunately, not in time of the Vanguard family photo. Great time at the dinner, a lot of pictures of the city in the boat perspective and after we went for some bars for some beers. We started in a great Irish bar called The Dubliner. After we finish here, we 5 went back to the hotel and stopped at another bar for one last drink. In this last bar me Michael Cade, Paul Stringfellow, and Valdecir Carvalho had one of the best technical discussion I had in this summit. Even we were with some we were able to have some great talks about technology, Virtual Infrastructures, Hyperconverged Infrastructure, and design Backups. Also, the struggle to use Veeam Proxy server in different sub-nets and isolated high-security zone networks and how to backup VMs in this type of environments. One of the best technical discussions I had in Prague and those discussions that last until dawn. Third and last day, was a hard morning for most of us, but we had some final general sessions until lunch time. And Veeam Vanguard Summit – Prague 2018 came to an END! I did stay another day in Prague for some shopping and visit more places in Prague. Like Žižkov Television Tower and take some photos from Prague from above. Before going to airport (where I had a tet-a-tet with a taxi driver) time for some final pictures. Here with Valdecir Carvalho (on my left), Karl Widmer (on my right) and Kevin Allan. And this was Veeam Vanguard Summit – Prague 2018. Again will like to thank you Veeam for inviting me and also Rick Vanover for this excellent program and all the Veeam team that organize this Summit in Prague without any issues.